Blast a hurricane away? Forget about it! Next story in Hurricanes Archive NOAA online, but out of touch? The National Oceanic and Atmospheric Administration experimented with cloud seeding to create a second eyewall in a hurricane, and some experiments seemed to work. 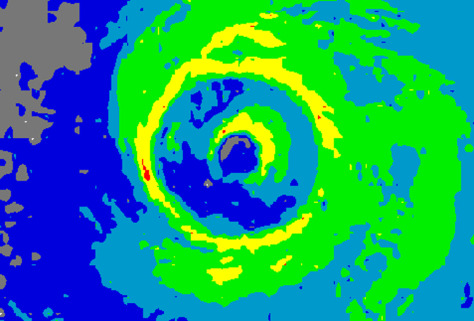 However, researchers found that some hurricanes naturally formed a second eyewall — such as Hurricane Luis in 1995, shown here. That made it impossible to determine whether the desired effect was the result of human intervention.